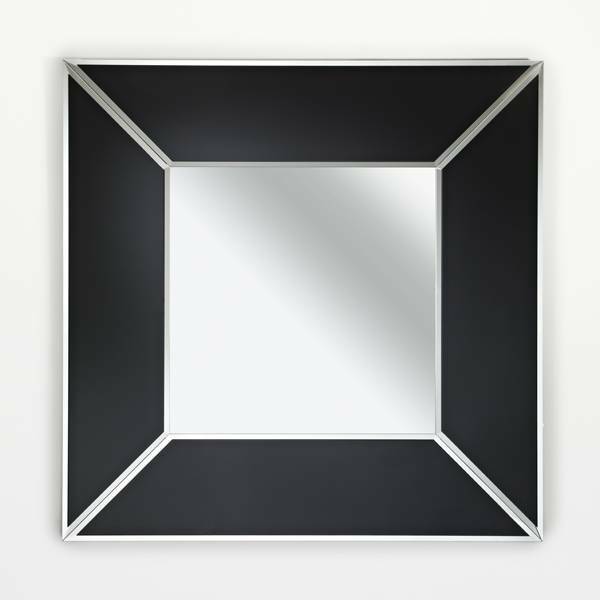 'Couture Square', a black-framed, stylishly modern mirror, made of black lacquered glass. 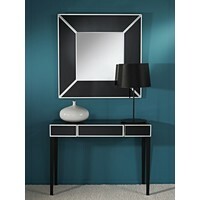 A perfect piece for a modern home! 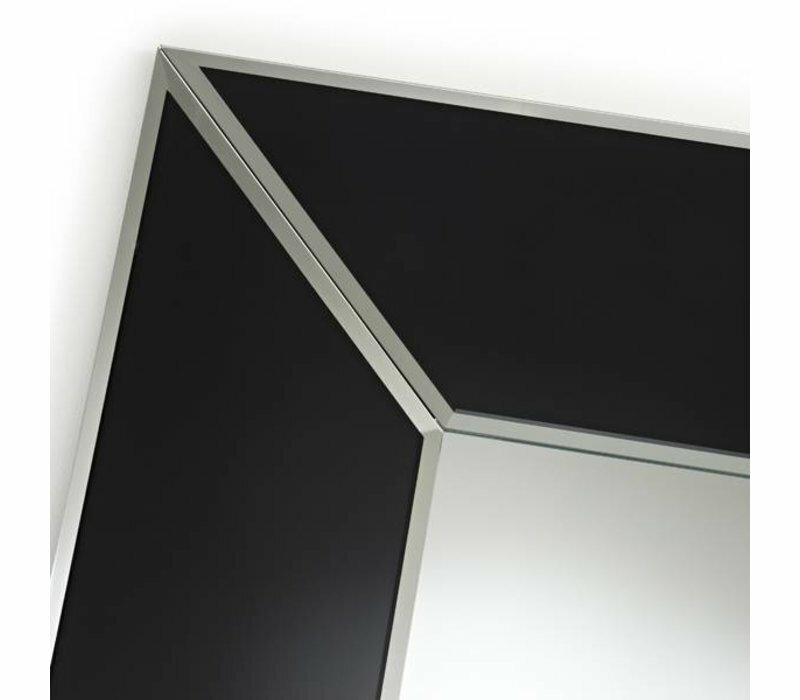 Black-framed, 'Couture Square' is a modern, simplistic mirror designed by the leading Belgian mirror design factory, Deknudt. 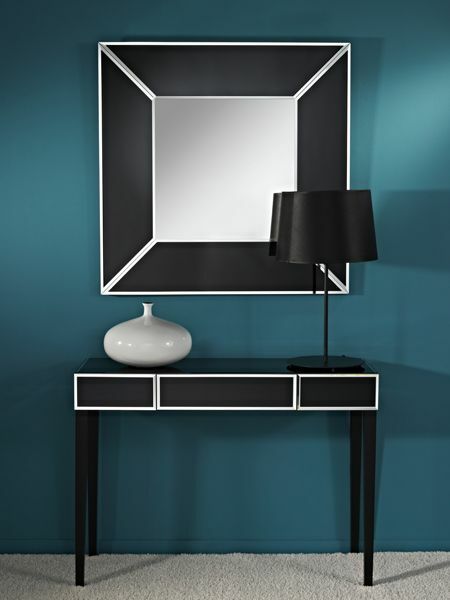 Couture Black's frame consists of 4 individual pieces of blacklaquered glass, connected to a mirror frame. This mirror is then mounted onto a sturdy MDF back plate. 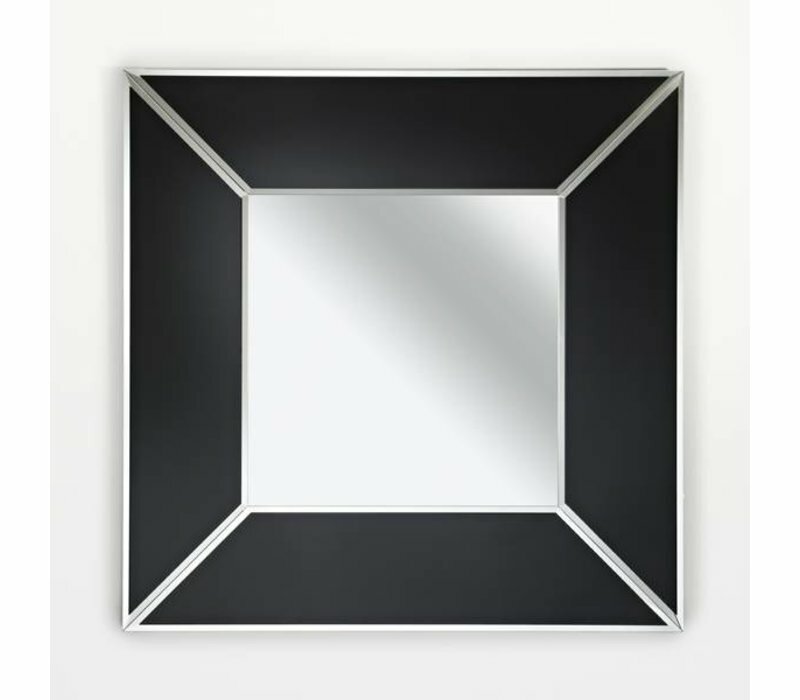 It's rich, deep black color creates a powerful contrast when hung upon a light colored wall. 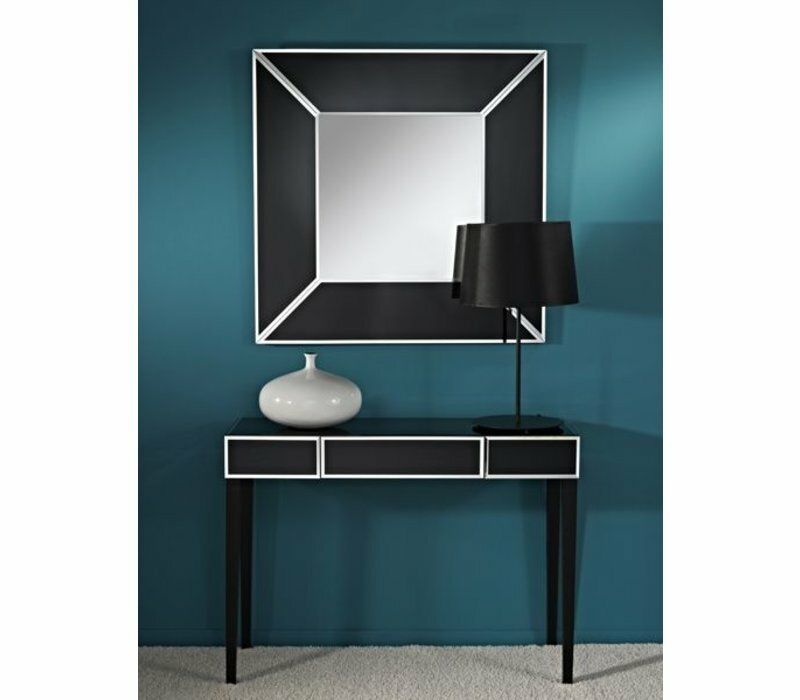 Couture Black suits most decor types, but is best suited to a strikingly sleek modern interior. 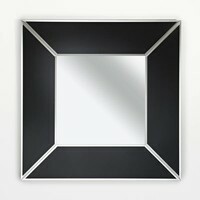 The Belgian Deknudt Deerlijk started production of design mirrors, in 1946, since then, tens of thousands of their extremely unique mirrors have decorated stylish interiors. 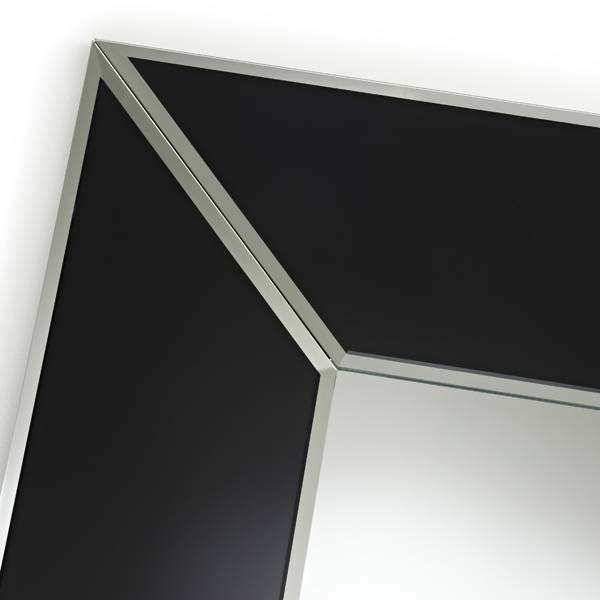 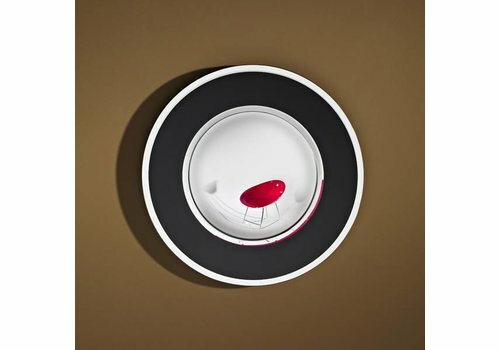 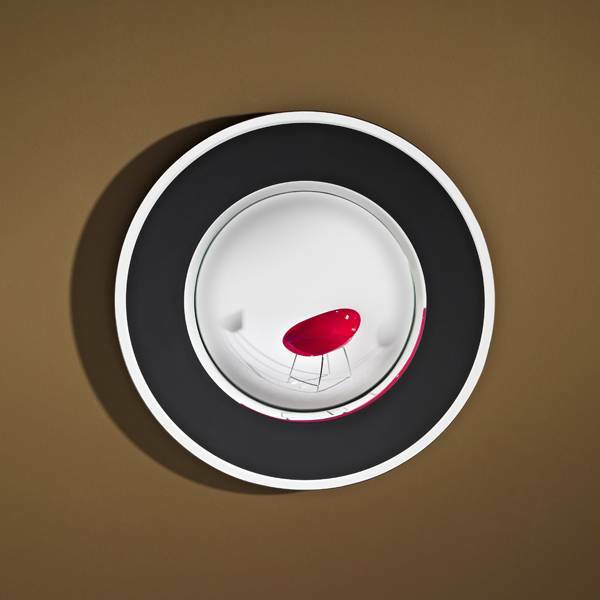 Only high-quality, unique mirrors are hand-crafted by Dekundt.